← Do We Have the Fortitude to Replicate Iceland? 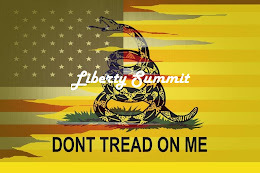 The resistance has started, kicked off by a Liberty Summit which attracted attendees from ten states along with several representatives of other groups. In attendance was the Ohio Valley Minutemen who read a prepared statement that met with general agreement. Action will be taken in the weeks to come as a result of this summit and other PatCom(n)s arond the nation over the past several months. Along with the efforts of Brock Townsend in North Carolina it was a good day for the Liberty Movement as well as patriot/freedom groups. Everyone who attended is gratefully acknowledged and those who were there know who they are and who they met. Thank you. It was an extraordinary meeting which heard from all parties and were able to agree on definite actions that each could endorse, support and perform, some to a greater degree than others, but all agreed. Okay, having dispensed with the minutes of the meeting I will get to the meat of the matter. One must understand the forces we are facing and the condition of the nation at this point in time. For those who were unable or unwilling to attend any of the PatComs, the Summit or a militia meeting in the past few months, there is something evil brewing in this nation and the time for action has arrived. No one should take these words as a signal to move forward, but to begin the process of hardening oneself to the fact that there is no political solution left to the people. Multi-national exercises are being conducted within the United States (Fort Collins, CO) in the coming weeks. NDAA has been passed giving the government unprecedented powers to round up radicals such as anyone hoarding more than 7-day’s rations (a low enough qualifier that any home might become a target after shopping at Sam’s Club). There has been a law passed that allows the Secret Service, when not otherwise engaged with hookers, the right to deny protest against the president. Every civil right of the American people has been modified, regulated and interpreted out of existence. Get it? You have no rights, you have no redress, you have no legal standing in court, your home can be searched for “contraband” without so much as a witness against you. Add to that the critical moments that have been scheduled like the Zimmerman decision in the Trayvon Martin case, the impending economic implosion, etc. Look for a race war instigated by our own president, who will just happen to have foreign troops on our soil during an “exercise” at roughly the time when that decision is announced. Okay, I am not normally an alarmist, or a conspiracy theorist, but neither was Paul Revere. There does come a time when too many critical events occur within close approximation that, viewed in retrospect, would look pretty obvious to even a casual observer. Consider that prior to war with Japan the United States had cut off their oil supply and the Japanese Ambassador was on U.S. soil negotiating its return. Everything was safe then, wasn’t it? What concerns me the most is that all of these things are taking place with no comment. There is no outrage. There is no commotion to alert anyone. Does that mean that these things mean nothing? That they are false flags intended to force us out into the field? Perhaps, this is why I am cautioning against action. Observe with prejudice, if it is your interest to care about such things. Put the NDAA alongside all of the other events choreographed by the Administration and come to your own conclusions. I won’t make any further observations about this, if it is a false flag, I won’t play into it. If it is a real crisis, I will be involved at the most intimate level. This entry was posted in Civil Unrest, Editorial and tagged NC Renegade, PatCon, T.L. Davis, TL in Exile. Bookmark the permalink.